Yes! You can set pattern lock on Windows OS such as Windows 7, 8, 8.1 and 10. Setup pattern lock on your Windows PC/Laptop. It will be same pattern lock like you do on your Smartphone. You can add much bigger pattern lock on your PC screen. Users need to join the points, in the same way, You have added the pattern lock on your computer. 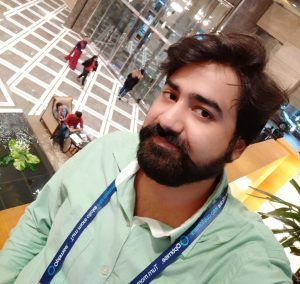 The pattern lock is one of the best passwords to secure your system. The best part is, you don’t need to type the password. 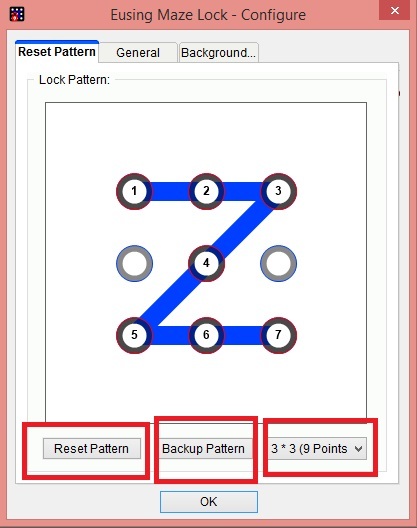 In pattern lock, you need to match the desired pattern to unlock your system. These pattern locks were made famous by smartphone. Currently, 65% Android and 51% iOS users are using pattern lock. It is considered as the new way of locking. Earlier this locking system was limited to smartphone only. But, now you can set pattern lock on Windows 7, 8, 8.1 and 10. Download Eusing Software. It is completely free and safe. You can select the mirror for download by choosing from Download Site 1, Site 2, Site 3. You will see the software in hidden icons. Now, right click on the icon and click on configure. 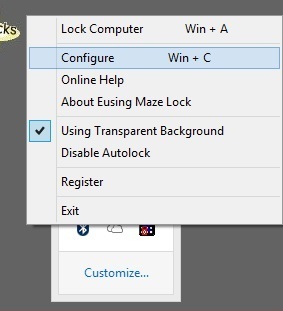 Now, you can change all the settings from the background image to pattern lock on your windows OS. 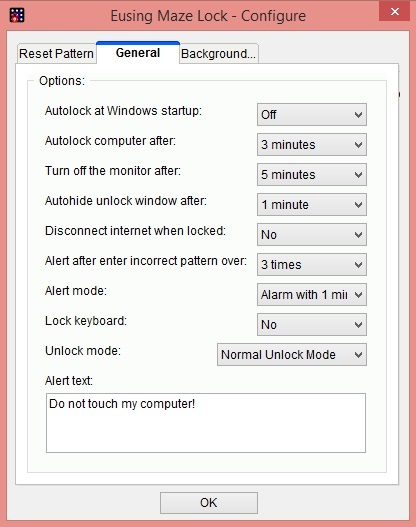 You can select the time for an auto-lock of computer and many more features. If you want to start your screen lock manually then, click on the icon.